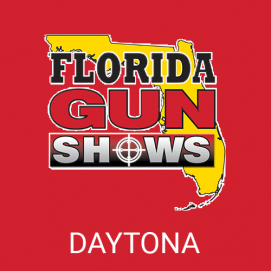 The Florida Gun Shows, the largest gun show promoter in Florida, currently travels to 8 different cities around the state. Because of our commitment to excellence and safety, as well as our longevity in this market, they have amassed the most reputable exhibitors in the state. They pride themselves in providing the highest quality and selection of merchandise and service to their customers! They also offer concealed weapon permit classes throughout the weekend. The show is a one-stop shop where you will enjoy an enormous array of new, used & Antique firearms, ammunition, shooting supplies, knives, Shooting accessories, Scopes, Clips, re-loading supplies, Holsters, Carry Cases, Range Bags, Hunting gear, Concealment products, Concealment Furniture, Gun apparel and so much more. For the knife collectors, they have several knife dealers including custom knife makers, and sharpeners. For those interested in self-defense products, you will see a large selection of tasers, stun guns and pepper sprays as well as other products. You are permitted to bring a gun(s) into the show for the purpose of appraisal, sale, and trade or for accessories. BUY, SELL AND TRADE is their motto but when bringing your gun to the show, it MUST be unloaded PRIOR to entering the show. Please leave all loose ammunition at home or in your vehicle. All Magazines & Clips must be empty and removed from the gun as well. No loose ammo is permitted in the show. The Security Officer will check your gun at the entrance and then secure it with a plastic tie strap that will prohibit the gun from firing. This Tie strap MUST remain on the gun at all times during our show. This includes Concealed weapon Permit Holders, in accordance with the Florida Laws. Safety is their number one priority and they have a zero tolerance policy. You will be immediately ejected should you break this rule.